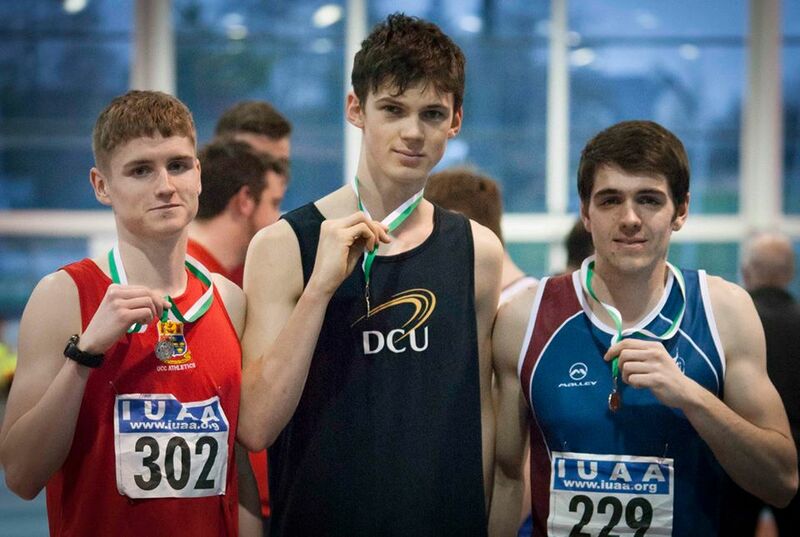 Conor Dincan, running in the colours of DCU, won the Irish inter-varsity 800m indoor title today with a withering surge over the last lap of a tactical race. The final was less than 3 hours after the qualifying heats, so the first half of the race was covered in a modest 61 sec. 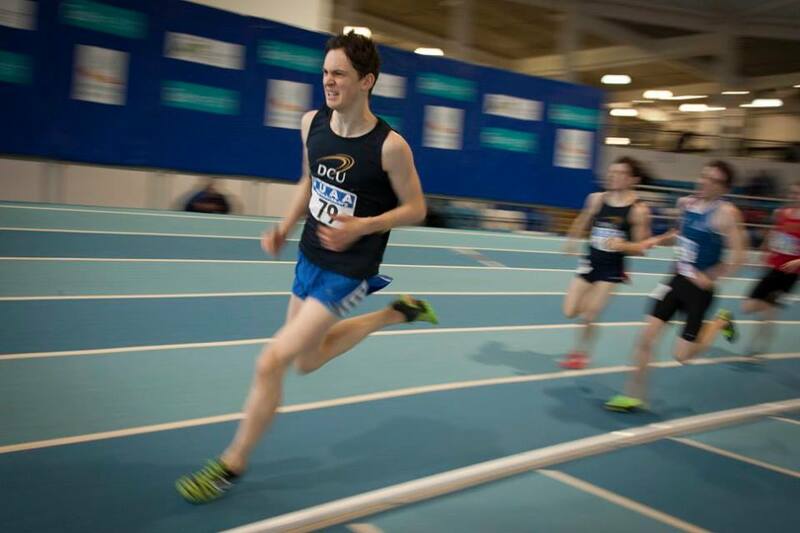 Conor was content to bide his time but when he made his move at the 600m mark nobody could respond and he won convincingly in the end in a time of 1 min 59.7 sec.